To expand Evernote’s footprint, the company unveiled a series of partnerships and products that bring the popular productivity app closer to the physical world. Evernote CEO Phil Libin once envisioned a paperless world–but not anymore. As he unveiled a series of partnerships Thursday, the notetaking app’s chief made it clear that physical products will play a crucial role in Evernote’s future as it attempts to expand its base of 75 million users. Evernote is a popular app that digitizes notes collected from the Web or captured with smartphone cameras. Its users–including six in North Korea, according to the company’s analytics–cumulatively spent 83 million hours creating 99.6 million notes in August alone. We want to eliminate the stupid uses of paper, but we want to embrace the good uses. The company began embracing paper about a year ago with the debut of the Evernote Smart Notebook by Moleskine, which featured special dotted lines to enhance image capture by smartphone and tablet lenses. 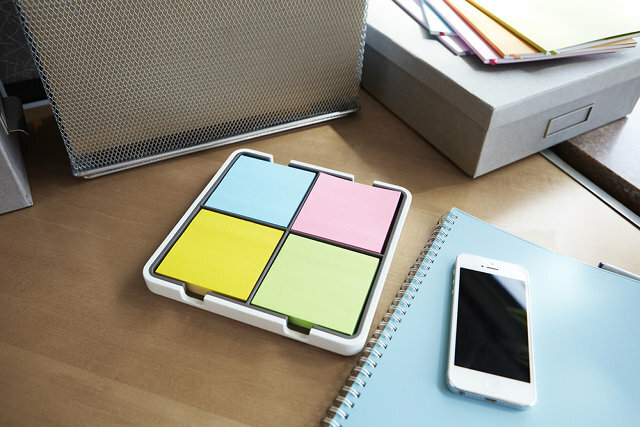 At Evernote’s third annual conference this week, Libin unveiled more co-branded products (with partners including Moleskine, Post-it Notes, and Fujitsu ScanSnap) to bring the app to the physical world. We declared a ceasefire between pen and digital. Though Evernote adds about 100,000 new users each day, tangible products touting the Evernote brand could introduce the app to many more people globally. Evernote notebooks: Evernote and Moleskine have expanded their product line with three more notebooks: Evernote Classic Notebook, Evernote Journal, and Evernote Sketchbook. Evernote scanner: Evernote and PFU in Japan (Fujitsu ScanSnap in the U.S.), designed and built the ScanSnap Evernote Edition. “This is the scanner I want. This is the scanner I lust after. This is the scanner I’d buy for my parents,’ Libin said. Evernote stylus: The Jot Script Evernote Edition Stylus by Adonit features a fine 1.9 mm tip, metal finish, and ribbed grip to make writing and drawing on the iPad feel more like pen and paper. Evernote wallets: Japanese brand Abrasus designed the Evernote Slim Wallet and Evernote Triangle Commuter Bag to help consumers stay organized digitally and physically. The triangular shape of the messenger helps keep the bag upright, even when thrown on the floor. “That’s right, we’re a fashion brand now. No one saw that coming,” Libin joked. Evernote Marketplace was launched as a one-stop shop for physical Evernote products.